Cut & feed deoxidizer pack, silica gel one or several pieces at a time. Total closed pack, max 60mm wide can be cut / fed at a range of 300cc ~ 1000cc. It works automatically only by setting length and quantity. By changing file number, you can set how many quantity you want to feed at a time. 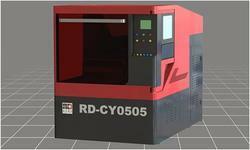 Fiber laser cutting machine series adopt fiber laser generator ,the output energy is very high and dense ,the laser is guided by fiber ,then focused by imported mirror and concentrated onto workpiece surface to melt and gasify the cutting area ,the machine can automatically cut by computer control. 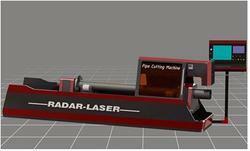 Top class laser generator in the world, performance steady ,using life time 100,000 hours. Imported servo motor and accelerator , high precision ball screw transmission guiding track ,sealed protective device and oil system, all these can make the cutting precision ,using life and function to the best. 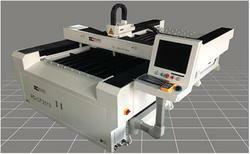 USA imported cutting head and controlling technology, make operation more safe ,convenient and perfect. Max. width is about 460mm. Max. width is about 610mm. This machine is a laminator for the thompson work. Can laminate the plastic film, paper etc. TSM-05 is laminating the original film to the sticker type. 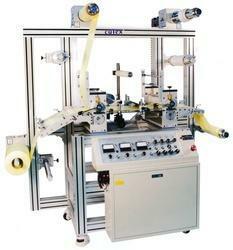 Precise laminating for high productivity and operation efficiency. Transportation device makes to move an original film even delicate distance. It's possible for users to laminate just on their wanted point. Slipped paper is being rolled to the upside roller, this can be applied in many ways. It's easy to maintain the regular tension by power brake and clutch. 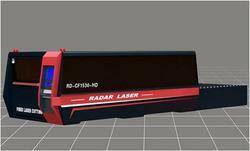 Fiber laser cutting machine series adopt fiber laser generator ,the output energy is very high and dense ,the laser is guided by fiber ,then focused by imported mirror and concentrated onto workpiece surface to melt. Bed moving beam all adopting whole welding contracture ,according to large machine tool standard made , rough machine after annealing, then vibrating treatment to completely eliminate welding and processing stress , maintain high strength ,high precision, to make sure 20 years usage without deformation. X,Y,Z axis all adopting Japanese imported servo motor ,high accuracy , high speed ,large torque and inertia , higher reliability , to ensure the whole machine high speed and acceleration. YAG metal laser cutting machine adopts pulse xenon lamp as laser, output high energy and density laser beam, to melt, evaporate, ablate the irradiation materials, reach the ignition point, at the same time with the aid of high-speed airflow and beam coaxial blow molten material, so as to realize automatic cutting. Whole sealed light path system, energy consumption low, high path stable. Imported servo motor and accelerator, decelerator, high precision ball screw transmission guiding track, sealed protective device and oil system, all these can make the cutting precision, using life and function to the best. Wireless controlling box, easy operating. Special air pressure monitoring system makes the device more efficient and artificial intelligent. Design by rocket booster, intellectual property right, protecting cutting head from bumping. Industry mother machine type lathe , ensures high speed and stability in laser cutting procedure, adopting different power laser generator, it can cut and punch onto each metal and material with high speed . 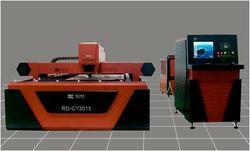 With following dynamic focusing device in cutting procedure, it can keep cutting quality the same. Three dimension cutting, the extremely cutting art. Supporting potting and underlining on the tube surface, only just marking not cutting, applied for curving marking on tube surface. 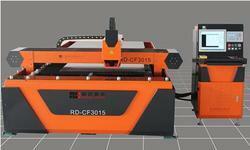 Supporting two dimension and three dimension cutting. Self researching and developing three dimension tube material cutting software suit for round tube, square tube, rectangle tube, oblate tube, -type steel, fillister steel, u-type tube ect. All kinds of irregular tube material. YAG metal laser cutting machine adopts pulse xenon lamp as laser, output high energy and density laser beam, to melt ,evaporate, ablate the irradiation materials, reach the ignition point, at the same time with the aid of high-speed airflow and beam coaxial blow molten material, so as to realize automatic cutting. Whole sealed light path system, energy consumption low, light path stable. Double blown air systems solve perforation when cutting thick sheet. 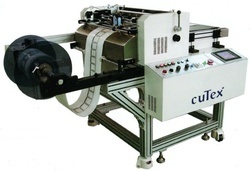 Ultraviolet cutting machine is used for definitive depth cutting of precise component, opening whole on soft and hard combined board, blind and buried vias processing. High speed and high precision: the high precision and low drift galvanometer with high speed straight line electrical machine system platform keeps micron grade high precision while in high speed cutting. Z axis adjusting focus automatically. Simple software: self researching and developing controlling software based on windows system, simple operating Chinese language interface. Friendly beautiful look, multiple functions, easy operating. High automation: galvanometer automatic correction, focus, location. Simple operation. Assemble to production line: it can joint special use up and down feeding material system, make the production total automation, increase production efficiency dramatically, it is special designed for PFC processing. 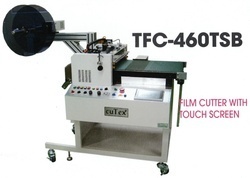 Applied field: PFC/PCB soft and hard combined board FR4 covering film.